(Reuters Health) – Two simple tests that can be done in a doctor’s office may be able to rule in or out a painful hip condition that is usually hard to diagnose without magnetic resonance imaging (MRI), according to a small study. A common overuse injury, gluteal tendinopathy can be treated with rest and stretching. 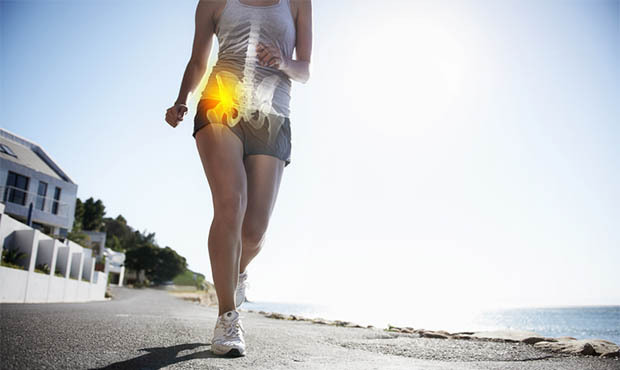 But hip pain can be hard to diagnose, and that may lead to inappropriate treatment or unnecessary surgery if gluteal tendinopathy is misdiagnosed as a lumbar spine issue or hip joint osteoarthritis, the authors write. “It is important to identify the condition because this will help better target therapy and we believe this study has moved the field forward considerably in terms of our understanding of clinical tests that help us diagnose the condition,” said senior author Bill Vicenzino of the University of Queensland in Brisbane, Australia. “We found more tests that when negative would rule out the likelihood of the condition being present and only one that strongly ruled in the condition if it was positive,” Vicenzino said. 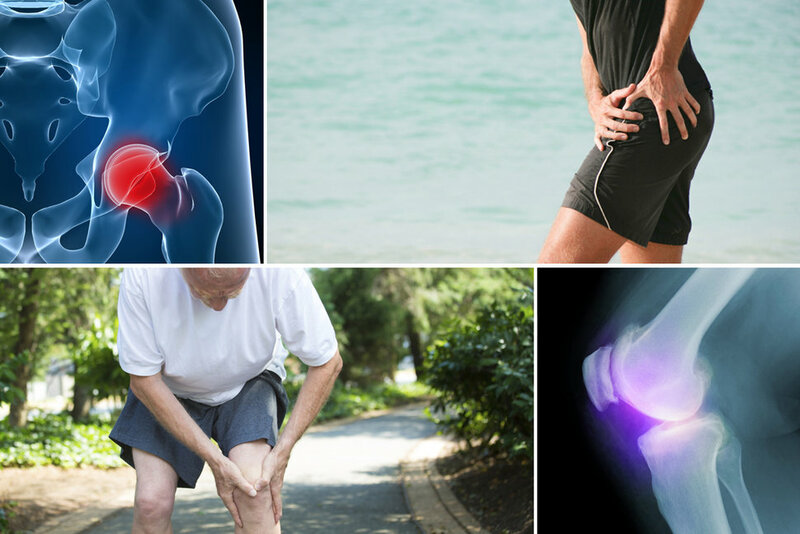 The researchers studied 65 people, ages 35 to 70 years, with pain on the side of their hip. First clinicians palpated (felt with their hands) the painful hip and had participants perform a series of movements applying weight or pressure to the joint and tendons. Then participants had MRI scans of the painful hip, which were analyzed by a radiologist. About half of the participants were diagnosed with gluteal tendinopathy based on clinical examination and tests, while more than three-quarters had gluteal tendinopathy based on MRIs, according to the results published in the British Journal of Sports Medicine. Hip palpation had the lowest false-positive rate of the clinical tests, and was the best test for ruling out the presence of gluteal tendinopathy. icotec AG, an innovative medical device company leading the industry in the development and manufacturing of non-metallic Carbon/PEEK composite medical devices, announces the brand name of BlackArmor® for its Carbon/PEEK material, which boosts a 15 year and 20,000 implantation clinical track record in spinal and fracture surgical care. BlackArmor is a combination of continuous, high-strength carbon fiber reinforced PEEK and the company’s composite flow moulding (CFM) process. The result is a medical device with an interwoven 3D fiber architecture that provides unmatched strength and endurance. icotec’s technology is an enabler for complex designs such as pedicle screws, vertebral body replacement devices or supplemental fixations devices, like anatomical bone plates. The combination of mechanical strength and non-metallic properties make BlackArmor also ideally suited for the treatment of spinal tumors. In the case of spinal tumors, radiation therapy plays an important role in pain management and local tumor control after the surgical removal of the tumor and stabilization of the spinal column. Before administering radiation therapy, the radiologist relies on accurate CT images to plan the radiation dose. However, the presence of metal spinal implants causes significant artifact on the planning images. This artifact makes it more difficult to delineate anatomic structures during radiation therapy planning and correctly calculate the proper dose distributions. During radiation therapy, metal spinal implants may also shield tumor cells from the curing radiation. In addition, metal components induce scattering of the radiation beams into the surrounding soft tissue potentially causing side effects. In some cases, patients may not be candidates for proton radiation therapy because of the presence of metal implants. BlackArmor is radiolucent in all diagnostic imaging modes (MRI, CT and X-ray) and will therefore not create imaging artifacts; a significant clinical benefit in the postoperative monitoring of anatomical structures. In addition, the non-metallic nature of the BlackArmor material minimizes the risk for patients where metal allergies are a potential concern. 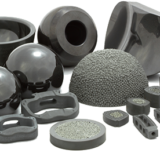 Founded in 1999, icotec AG has become a worldwide leader in the design, development and manufacturing of Carbon/PEEK composite to create high strength implants for loadbearing musculoskeletal applications. The company is headquartered in Altstaetten, Switzerland. SANTA ROSA, Calif., Sept. 29, 2016 /PRNewswire/ — Osseon is pleased to announce the addition of medical device industry veterans Eric Gilbert as VP of Sales, and Paul Rogan as Area Sales Manager. Mr. Gilbert and Mr. Rogan will join the existing Sales Management team as the company continues to expand its market share. In response to the company’s rapid growth, Osseon has also implemented cutting-edge cloud-based systems for both customer relationship management and product training. In addition, Osseon continues to partner with a number of physicians, both in the U.S. and abroad, to publish a series of best practices white papers related to the diagnosis and treatment options for Vertebral Compression Fractures. Osseon will be exhibiting their complete line of Vertebral Compression Fracture treatment products at the North American Spine Society Annual Meeting (NASS) in Boston, October 26-29, 2016, Booth #725. Osseon® LLC is a private medical device company located in Santa Rosa, CA. Osseon is driven by the needs of patients and the physicians and health care providers who treat them. The company designs, manufactures and distributes innovative products to improve the quality of life for patients with vertebral compression fractures (VCF). Vertebral compression fractures may result from osteoporosis, osteotraumatic injuries, myelomas or other degenerative bone diseases. 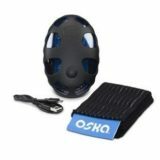 For more information, visit osseon.com. Osseon® is a registered trademark of Osseon LLC. Exactech, Inc. (EXAC), a developer and producer of bone and joint restoration products for hip, knee, shoulder and spine, today announced positive surgeon feedback on first surgeries performed with the ExactechGPS® Guided Personalized Surgery system’s new Total Shoulder Application, which combines preoperative planning with intraoperative computer-assisted technology. Pierre-Henri Flurin, MD, a shoulder specialist at the Clinique du Sport in Bordeaux-Mérignac, France, performed both an anatomic and a reverse total shoulder replacement using Equinoxe® Shoulder System implants and instruments. AxioMed announced today it has received approval from the Therapeutic Goods Administration (TGA) of Australia to market and sell their cervical and lumbar Freedom Viscoelastic Disc Replacement. The approval, effective immediately, marks an important milestone for AxioMed as the company increases its presence both internationally and domestically in the USA in preparation for FDA approval. The AxioMed viscoelastic disc is a next-generation disc replacement that restores natural disc height, stability, and motion in the human spine. 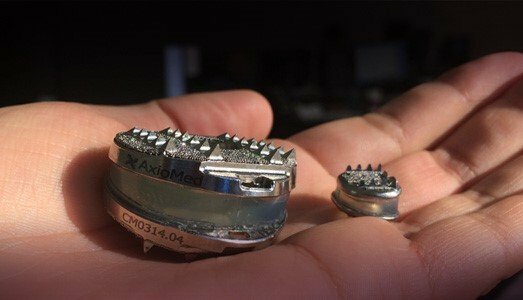 IRVINE, Calif., Sept. 29, 2016 /PRNewswire/ — Phygen, LLC, a company focused on the development of devices used in the stabilization and repair of spinal disease and trauma, today announced that it has received a Notice of Allowance for its latest pedicle screw assembly utilizing the AutoLok technology. The unique design and its inherent resistance to back-out will provide a decided advantage to the Leucadia product line as the company continues to implement physician driven innovations in spinal health. “We are pleased to receive this Notice of Allowance and plan to move forward rapidly on the regulatory and operational fronts with the Leucadia AutoLok system,” said Phygen CEO Thomas W. Gardner. “The clear advantages of this revolutionary feature will provide our clinical users with innovation developed through our clinical advisory members. We plan to quickly ramp up our regulatory and manufacturing efforts to get AutoLok technology back into the hands of clinicians as soon as possible. Our clinical advisory board considers this the most significant innovation in pedicle screws since pedicle screws became the gold standard in fusion. AutoLok was initially introduced in 2011, and over 400 levels were implanted in spinal fusion cases, with no instances of backout and no revisions or field complaints of any kind. AutoLok was taken off the market after Phygen’s asset sale in 2012, and Phygen has now re-acquired full ownership of the technology. Phygen LLC is a medical device company focused on the development of surgeon-designed orthopedic spinal implants and instrumentation to address the stabilization and repair of spinal trauma and disease. Laguna, Lucadia, Coronado, La Costa, Del Mar and Cabo all represent Phygen products designed by spine surgeons for spine surgeons. This news release includes “forward-looking statements”. These statements are based upon the current beliefs and expectations of Phygen’s management and are subject to significant risks and uncertainties. If underlying assumptions prove inaccurate or risks or uncertainties materialize, actual results may differ materially from those set forth in the forward-looking statements. Risks and uncertainties include but are not limited to, general industry conditions and competition; significant fluctuations in expenses associated with product development, failure to secure additional financing, the inability to complete regulatory filings with the Food and Drug Administration, general economic factors, including interest rate and currency exchange rate fluctuations; the impact of the medical device industry regulation and health care legislation in the United States and internationally; global trends toward health care cost containment; technological advances, new products and patents attained by competitors; challenges inherent in new product development, including obtaining regulatory approval; Phygen’s ability to accurately predict future market conditions; manufacturing difficulties or delays; financial instability of international economies and sovereign risk; dependence on the effectiveness of Phygen’s patents and other protections for innovative products; and the exposure to litigation, including patent litigation, and/or regulatory actions. 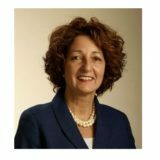 BURLINGTON, Mass., Sept. 29, 2016 (GLOBE NEWSWIRE) — Flexion Therapeutics, Inc.(Nasdaq:FLXN) announced today that it has appointed John Magee as Vice President of Sales, the latest of several key appointments to the company’s leadership team. Mr. Magee has more than 35 years of experience as a sales professional. Prior to joining Flexion, he was head of U.S. sales for the rare disease unit of Shire Pharmaceuticals, where he also served as U.S. sales director for its renal business. Previously, he held senior sales positions at Esprit Pharma and Bayer Corporation. He has a Bachelor’s degree in biology and anthropology from Hamilton College, and completed MBA courses at the Rochester Institute of Technology. Mr. Magee joins Flexion as the company prepares to submit a planned new drug application (NDA) in the fourth quarter of 2016 to the U.S. Food and Drug Administration (FDA) for its drug candidate Zilretta™ (also known as FX006), a potential treatment for patients with moderate to severe knee osteoarthritis (OA) pain. 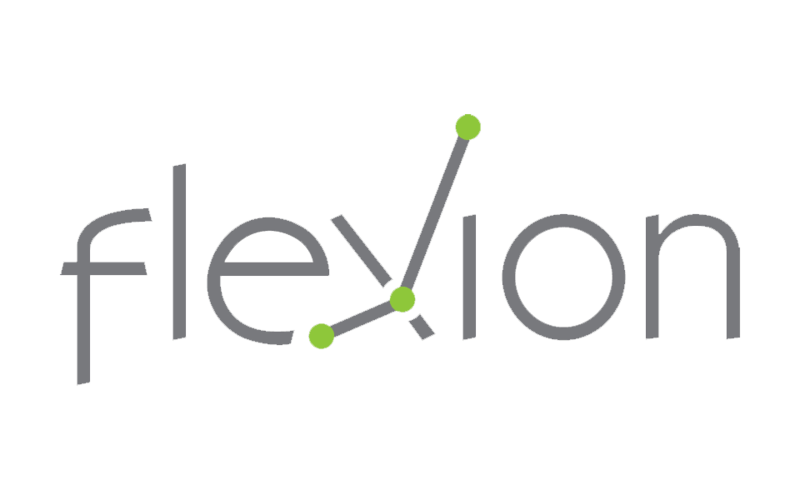 Flexion is a specialty pharmaceutical company focused on the development and commercialization of novel, local therapies for the treatment of patients with musculoskeletal conditions, beginning with OA. The company’s lead product candidate, Zilretta, is being investigated for its potential to provide improved analgesic therapy for the millions of U.S. patients who receive intra-articular (IA) injections for knee OA annually. Statements in this press release regarding matters that are not historical facts, including, but not limited to, statements relating to the future of Flexion; our plans for, and the expected timing of, our Zilretta NDA submission with the FDA; our plans to commercialize Zilretta[, including the expected timing of commercial launch for Zilretta]; and the potential therapeutic and other benefits of Zilretta, are forward-looking statements. These forward-looking statements are based on management’s expectations and assumptions as of the date of this press release and are subject to numerous risks and uncertainties, which could cause actual results to differ materially from those expressed or implied by such statements. These risks and uncertainties include, without limitation, risks associated with the process of discovering, developing, manufacturing and obtaining regulatory approval for drugs that are safe and effective for use as human therapeutics; our reliance on third parties to manufacture and conduct clinical trials of Zilretta, which could delay or limit its future development or regulatory approval; our ability to meet anticipated regulatory filing dates and commercial launch plans for Zilretta; the fact that we will require additional capital, including prior to commercializing Zilretta or any other product candidates, and may be unable to obtain such additional capital in sufficient amounts or on terms acceptable to us; the risk that we may not be able to maintain and enforce our intellectual property, including intellectual property related to Zilretta; competition from alternative therapies; regulatory developments and safety issues, including difficulties or delays in obtaining regulatory approvals to market Zilretta; the risk that the FDA and foreign regulatory authorities may not agree with our interpretation of the data from our clinical trials of Zilretta and may require us to conduct additional clinical trials; Zilretta may not receive regulatory approval or be successfully commercialized, including as a result of the FDA’s or other regulatory authorities’ decisions regarding labeling and other matters that could affect its availability or commercial potential; risks related to key employees, markets, economic conditions, health care reform, prices and reimbursement rates; and other risks and uncertainties described in our filings with the Securities and Exchange Commission (SEC), including under the heading “Risk Factors” in our most recent Annual Report on Form 10-K and subsequent filings with the SEC. The forward-looking statements in this press release speak only as of the date of this press release, and we undertake no obligation to update or revise any of the statements. We caution investors not to place considerable reliance on the forward-looking statements contained in this press release. WESTMINSTER, Colo., Sept. 29, 2016 /PRNewswire/ — Cerapedics, a privately-held orthobiologics company, today announced the company completed an $11 million Series D financing. The funds will be used to expand commercialization of i-FACTOR™ Peptide Enhanced Bone Graft, which was approved by the U.S. Food and Drug Administration (FDA) in November 2015 for use in anterior cervical discectomy and fusion (ACDF) procedures in patients with degenerative cervical disc disease. Additionally, the proceeds will be used to further the development of Cerapedics’ synthetic small peptide (P-15) technology for fusion in the lumbar spine. i‐FACTOR bone graft is based on P-15 technology developed by Cerapedics to support bone growth through cell attachment and activation. It is the first bone graft to be approved for use in the cervical spine by the FDA and may be used as a substitute for autologous bone in ACDF procedures. The U.S. surgical market for biologic bone substitutes is estimated to be about $1.5 billion. 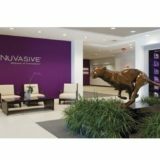 ORLANDO, Fla., Sept. 29, 2016 (GLOBE NEWSWIRE) — Mazor Robotics Inc., a developer of innovative guidance systems and complementary products, and The Center for Musculoskeletal Disorders (CMD), today announced the first installation of the Renaissance system in an ambulatory outpatient setting in the Northeast. 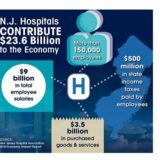 CMD, located in Englewood, NJ, is a joint private practice including The Center for Spinal Disorders, The Center for Hand Disorders and The Center for Pain Management. CMD’s spine surgeons, Drs. Jonathan Lewin, Seth Grossman and Vagmin Vora, assisted by Isaac Abramchayev, PA, will be using Renaissance. Drs. Steven Horowitz and Jonathan Simhaee, who head the pain management division, also support the new technology, along with the orthopedic head of the practice, Dr. Raz Winiarsky. The Renaissance system uses advanced 3D planning and mechanical guidance with 1.5mm accuracy to provide surgeons with a powerful solution for minimally invasive and percutaneous fusions, complex spinal deformity and trauma cases. Access Mazor Robotics series of ‘How Renaissance Works’ videos here. Mazor Robotics believes in healing through innovation by developing and introducing revolutionary technologies and products aimed at redefining the gold standard of quality care. 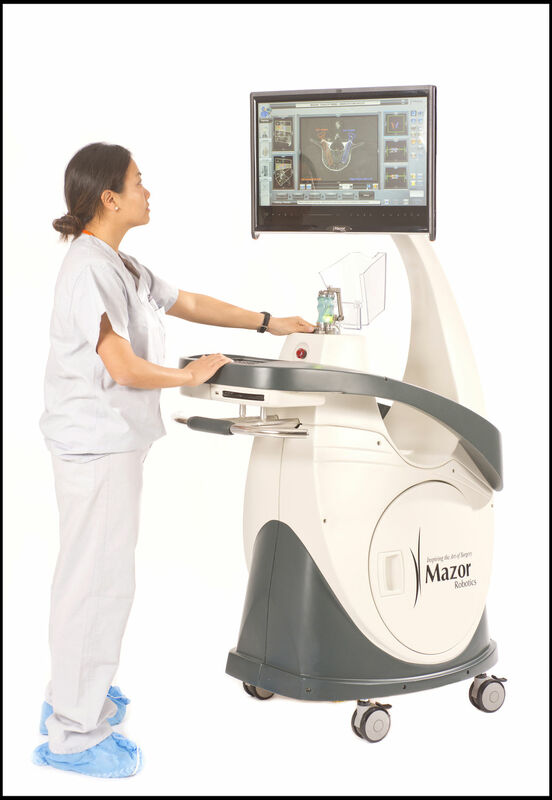 Mazor Robotics Guidance Systems enable surgeons to conduct spine and brain procedures in a precise manner. For more information, please visithttp://www.MazorRobotics.com. OA is the breakdown of cartilage that results in pain, swelling, decreased range of motion and stiffness. The most common chronic joint condition, OA impacts more than 27 million Americans. One in four Americans will develop hip OA by age 85, and one in two will develop knee OA in his or her lifetime. Many people with OA feel the condition is inevitable, can’t handle the pain and become sedentary while waiting for a surgical intervention. Consider the pain cycle: Pain -> Decreased Movement-> Loss of Flexibility and Strength -> Deconditioning -> Poor Lower Extremity Mechanics. This pain cycle often leads to a sedentary lifestyle, which also results in an increased risk for diabetes, weight gain/obesity, coronary artery disease (CAD), hypertension and falls. Because cartilage is avascular and aneural, there is not a lot of blood flow in cartilage or excessive pain until it breaks down enough to expose the bony layer beneath it. Cartilage exists to absorb shock and withstand pressure, and loading it enough is important for cartilage health, just as load is important for all body tissue. While excessive loading is detrimental to someone with OA, moderate exercise with loads that are pain-free have proven beneficial.